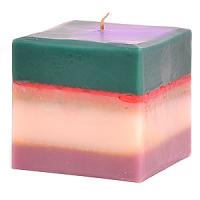 Occasionally we get some unique ideas for pillar candles that don't quite fit in with any of our regular categories so here is where they go. 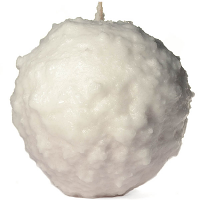 Right now we have started making snowball candles which have a red, Apple Cinnamon scented center that is surrounded with white fluffy wax. We currently have 2 sizes available. 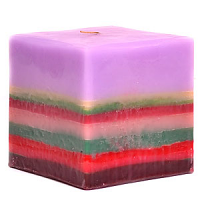 The small is around 5 inch diameter and the large is closer to 7 inches. 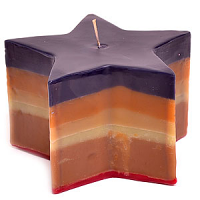 These unique candles are perfect for decorating your home during Christmas or the winter season. 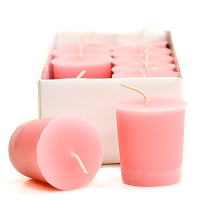 As the candle flame melts through the white wax, it will reveal the brightly colored, strong scented center, making your home smell delicious.